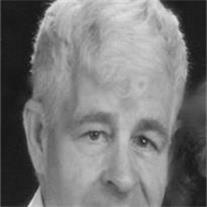 Robert Eugene Overall, 79, passed away on December 19, 2012. He was born April 9, 1933 in Dallas, Texas to Milton Thomas Overall and Lucy Delphine Holt. Robert was a stalwart member of The Church of Jesus Christ of Latter-day Saints whose strong testimony and example will be remembered by those who knew him. Robert moved to Arizona in 1957 and married Ima Jean Batmon. Together they had four children: Robert Jr. (Kathy) Overall, Kelly-deceased (Sharon) Overall, Nancy (Kris) Kircher, and Jeff (Denice) Overall. His grandchildren include: Jillene (David) Guzman, Collin Overall, Nathan Overall; Ty (Sierra) Kircher, Lauren (Ted) Brimley, Zachary Kircher; Laynee Overall, Jace Overall, Kylee Overall, and two great-grandchildren, Gibson Kircher and Zoey Brimley. He is survived by his brothers Tom Overall, Atlanta GA and Bill Overall, Austin TX. Robert’s passion for painting beautiful landscapes was only exceeded by the love he had for his wife and family. Visitation will be held from 6-8 pm on Thursday, December 27th at Bunker’s Garden Chapel, 33 North Centennial Way in Mesa, Arizona. Funeral Services will be at 10:00 am on Friday, December 28th at Maricopa North Stake Center, 1718 North Date in Mesa, with a visitation one hour prior. Interment will be at the City of Mesa Cemetery.